What is the fastest and easiest way to rent a car in Serbia? 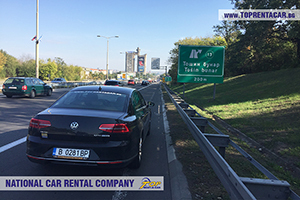 Top Rent A Car offers rent a car services in Serbia. If you are planning to go to Serbia or if the country is the starting point of your trip on the Balkans, you can rent a car from the airport Belgrad, Serbia or you can request a delivery directly to your hotel. The company offers a big variety of over 1200 cargo and passenger automobiles. If you need more detailed information about delivery and transfer services and their prices, you can visit our website. Are you planning your trip to Serbia or are you already there? You can rent a car for your stay fast and easy from our website or you can make your booking over the phone. You can go to Serbia and the Balkans with our automobiles. You can make your booking in a few easy steps directly from our website or by contacting our representatives on the phone. Do not forget to make your booking from Top Rent A Car if you want to travel easy, fast, and safe in Serbia. Book the desired automobile now on: +359 700 89 050. You can request a delivery to every location by your choice! 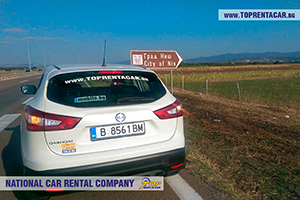 The offices of Top Rent A Car have the best locations, and can make a delivery in the country and on the Balkans. You can see all the locations here. If you need an individual offer or a consultation regarding rent a car services in Serbia, do not hesitate to contact us on our phone number: +359 700 890 170 170. Our kind employees will gladly answer all your questions! Get your rental car by ordering delivery to Belgrad airport or delivery to any other spot in the country! Alongside with our rent a car services in Serbia, you can choose one of our special offers and book a GPS, 3G Wi-Fi Internet and many more. Why should you choose rent a car services in Serbia? Increasing discounts for loyal clients, promo games with prizes, etc.